Getting a home is a personal matter, and the choice between buying an existing home and building one from scratch can be a difficult decision. Buying an existing home can be advantageous if you are in a hurry to move in. An existing home also comes with a sense of history. ✓ They are not built exactly to your taste and style. ✓ They might have a long list of existing repair and maintenance issues. Building a custom home may take some time, but it comes with a lot of benefits and advantages. 1. You can have your dream home built to your exact liking. The biggest advantage of building a custom home is you have the complete power and control. You can have your home built to match your lifestyle, your needs, and your personality. With pre-existing homes, it will take a lot of looking at a dozen homes to find your perfect match. Sometimes, you even end up getting the one that is almost, but not quite, your dream home. 2. You can customize your home’s floor plan. With pre-existing homes, you get it as it is. If you wish for a bigger bedroom for example, then renovations are needed. Knocking down walls can be a hassle and an inconvenience, and will cost you some money. With a custom home, you can have the different parts of the house the way you want it. Dreaming of a large entertainment room for your home theater system? Wishing to have an open and airy living room? You can have them all with a custom home. 3. You can optimize your lot area. 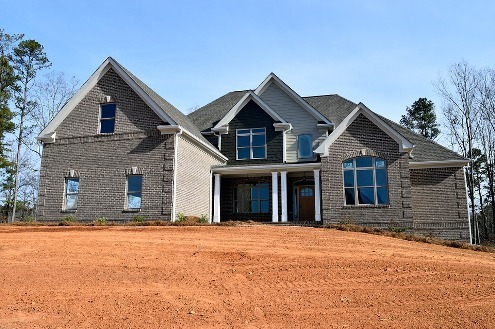 Building a custom home allows you to control the placement of your house on the lot it stands on. If you have been dreaming of having a small garden to have coffee on every weekend afternoon, or a big yard where your kids can play, choosing to custom build your home allows you to have that. You also have control where to put your garage, or if you wish to have a separate stockroom for old things that you no longer use. 4. It gives you the privacy you need. Building your home to your specifications allows you to have the privacy that you want and need. You can work with your custom home builder and architect on the orientation of your windows and doors. They can also work with trees and fences, and where to place them, to add to your home’s privacy. 5. It saves you money. With a custom built home, you have no repairs and upgrades to think of, not even renovations. You choose everything - from the finishes to the features of your home - so you get to choose them according to your budget. Choosing to have your home custom built ultimately gives you the freedom to do as you wish. Your home is your sanctuary and will be your haven for many years. It is highly recommended to opt for a professional and reputable custom home builder to help you make your dream home a reality.